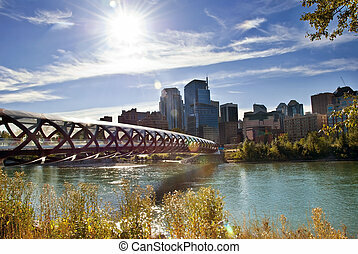 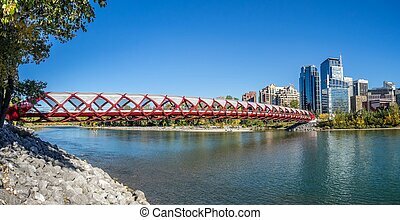 Calgary pedestrian bridge spanning the bow river. 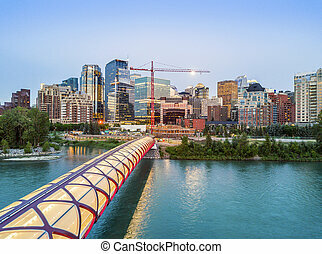 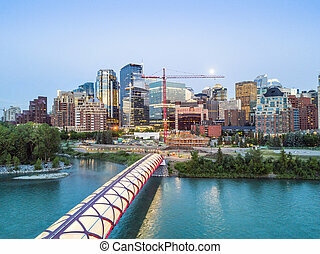 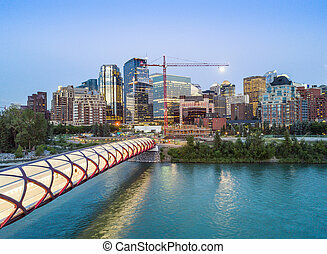 A pedestrian bridge accross Bow River in Calgary with skyscrapers in the background. 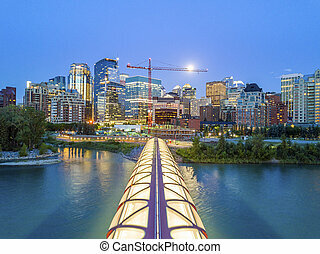 Pedestrian bridge and downtown skyscrapers at hight in Calgary, Canada. 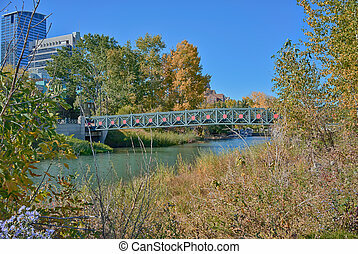 Autumn landscape of the Prince's Island pedestrian bridge, Calgary, Alberta. 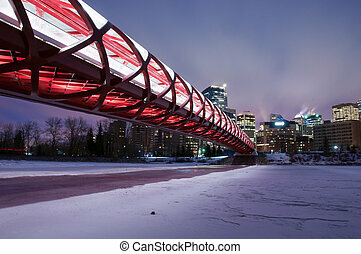 Snow covered Peace Bridge over the Bow River during Winter in Calgary downtown. 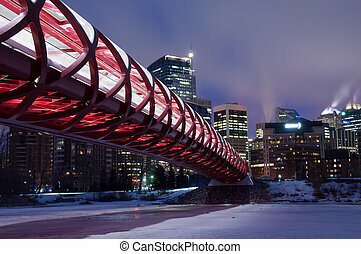 Specially designed pedestrian footbridge with bike path. 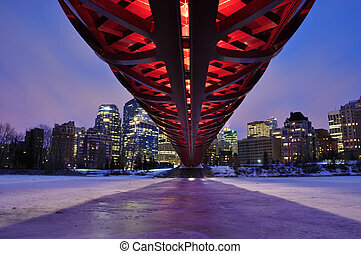 Fisheye view. 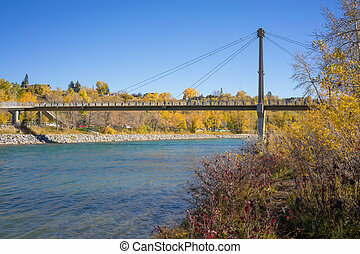 Autumn landscape of a pedestrian bridge in Prince's Island Park, Calgary, Alberta. 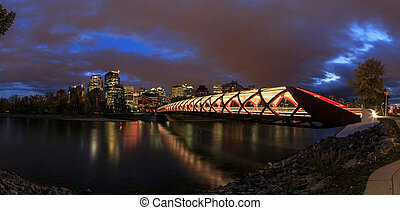 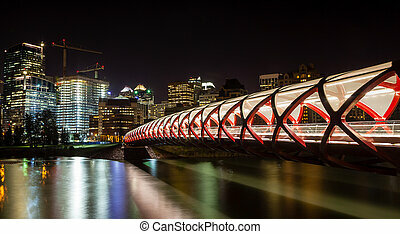 Night view of Calgary's Peace Bridge. 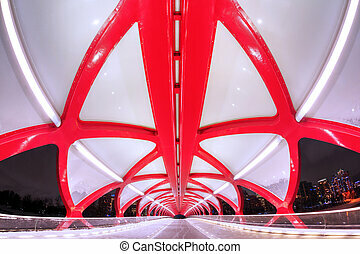 The bridge features a red and white helix design and was opened in March 2012. 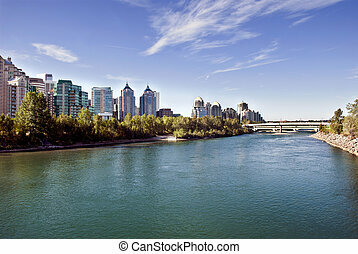 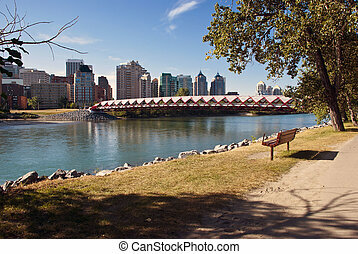 It connects the extensive Bow River Pathway on the north and south sides of the Bow River. 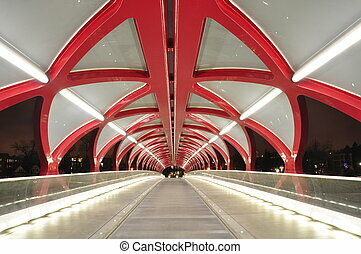 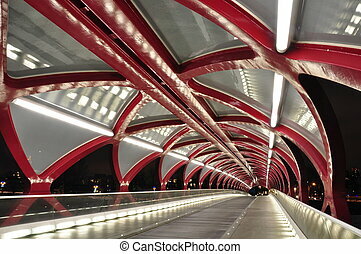 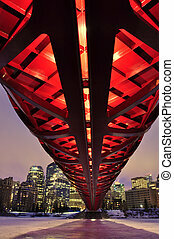 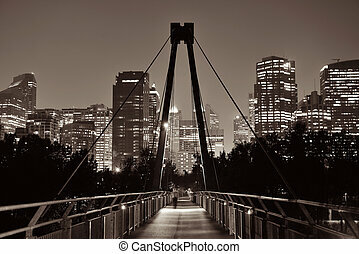 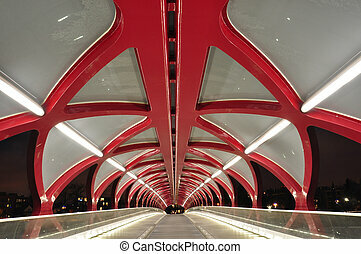 Interior of a Calgary pedestrian bridge accross the Bow River at night. 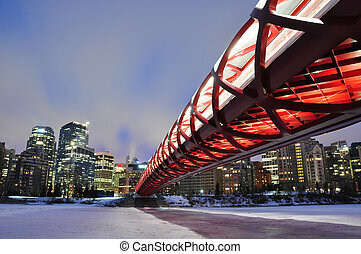 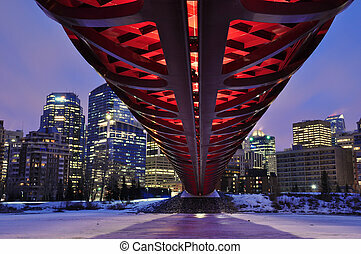 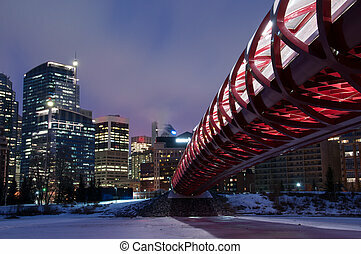 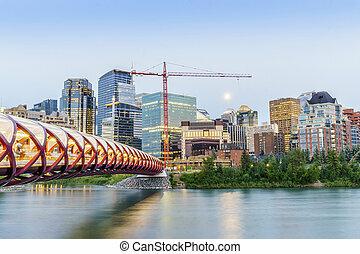 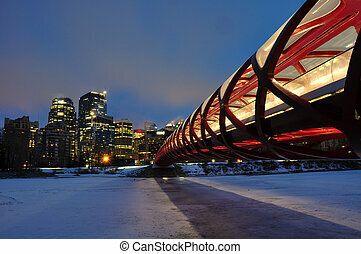 A Calgary pedestrian bridge accross with Bow River in winter with skyscrapers in background.